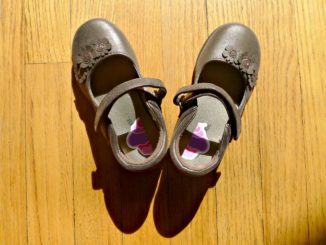 Parenting toddlers and preschoolers is not for the faint of heart. The kids are abounding with endless energy and questions. And to be honest, sometimes I just want to keep them out of the house to avoid the giant mess that is either waiting to be tackled or that they will create if we stay at home. 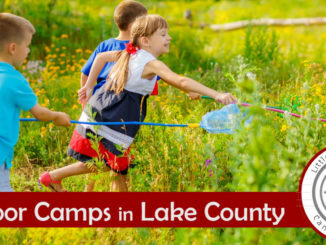 So what is there to do with preschoolers in Lake County? 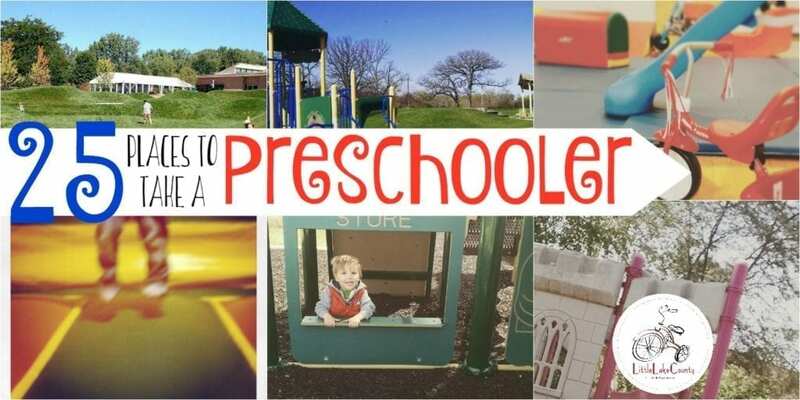 As it turns out, there at least 25 places to take preschoolers in Lake County! Open gyms. There are a ton of open gyms, especially park districts with open gyms, to let the kids run around and burn off some steam. Go for a hike! There are plenty of places to take younger children to explore nature in Lake County. Artsy Tots class at Artist at Heart in Libertyville. 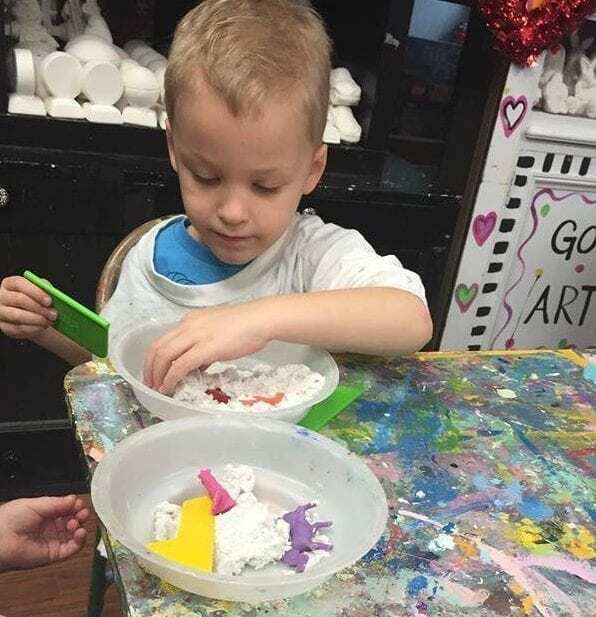 Every Wednesday and Thursday morning from 9:30 a.m. – 10:15 a.m., let your child be artistic for a mere $5, and then let someone else clean up the mess! Go for a swim. There are plenty of indoor pools during the winter and outdoor pools, beaches, and splash pads in the summer. And I find that nothing wears the kids out faster than water. Visit a library. 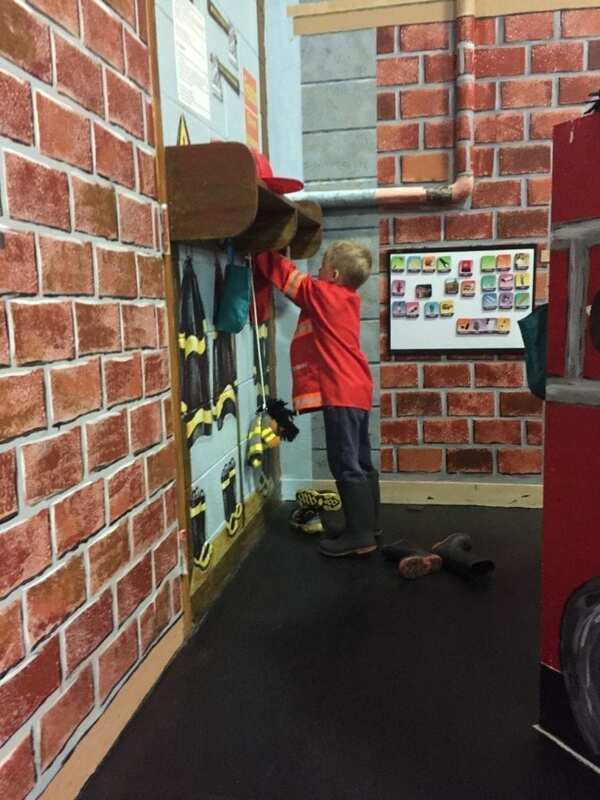 Besides great educational programming and a wide array of books, some of Lake County’s local libraries have incredible play and learning areas. Wauconda and Barrington are a few favorites. Go to a play. There is phenomenal and affordable children’s theatre available in Lake County. Our favorite is the Marriott Theatre in Lincolnshire; it holds my young children’s’ attention throughout the entire show. Every time. The Highland Park Players also puts on phenomenal children’s shows. Visit Green Kids Resale. I do not mind allowing my kids to look around and pick out a toy here, because I am not paying an arm and a leg. They also have a play area and a large selection of maternity clothes, kid’s clothes and books. Visit a local history museum. My preschooler loves history and history museums. And most in the area are very kid-friendly and are cheap or even free to visit. Hippocampus. An indoor (and seasonally with some outdoor activities) play and sensory experience located in Volo, that is open every day of the week. 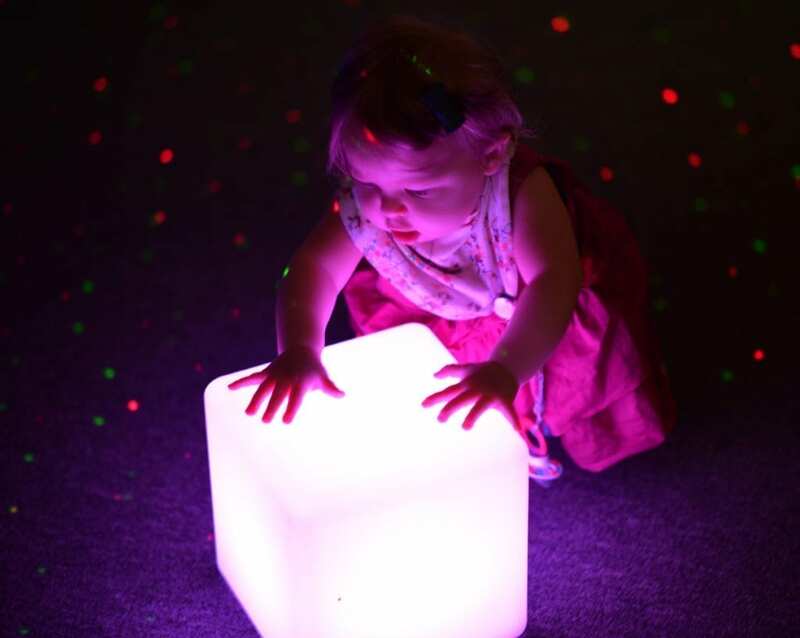 It engages all of your child’s senses and their imagination. Editor’s Note- Permanently closed. See Miss Jamie from the Farm perform her farm-inspired musical show for toddlers and preschoolers at your local Mariano’s. She visits Gurnee and Vernon Hills about once a month and its FREE! 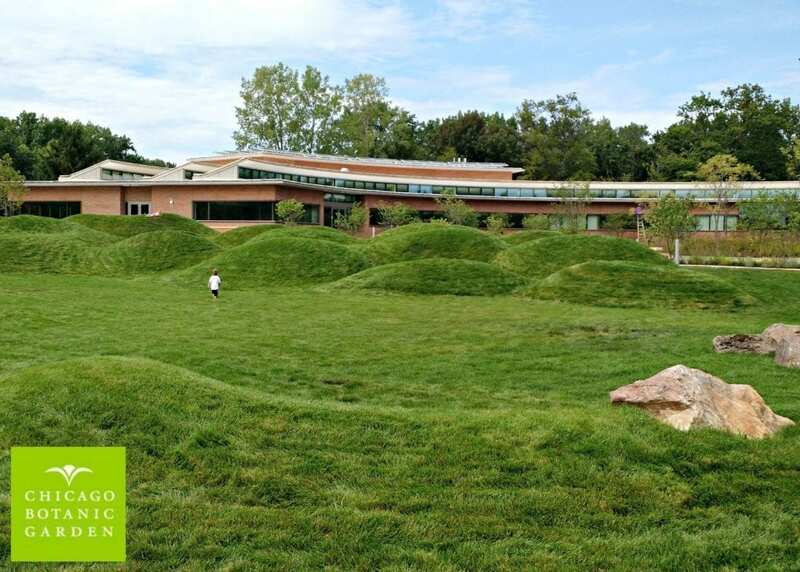 Visit the Wildlife Discovery Center in Lake Forest. This is a favorite of ours all year long. Housing numerous reptiles indoors and other animals outdoors, it promotes learning and wildlife conservation all at no cost. There are also easy trails nearby and a very kid-friendly park next door. Chicago Botanic Garden. This gem of the north suburbs is both beautiful for adults, but like a giant natural playground for the kids. Besides the changing scenery, it offers a variety of children’s programs, a library, indoor exhibits and a new Children’s garden to explore. Entry is free, but there is a charge to park if you do not have a membership. 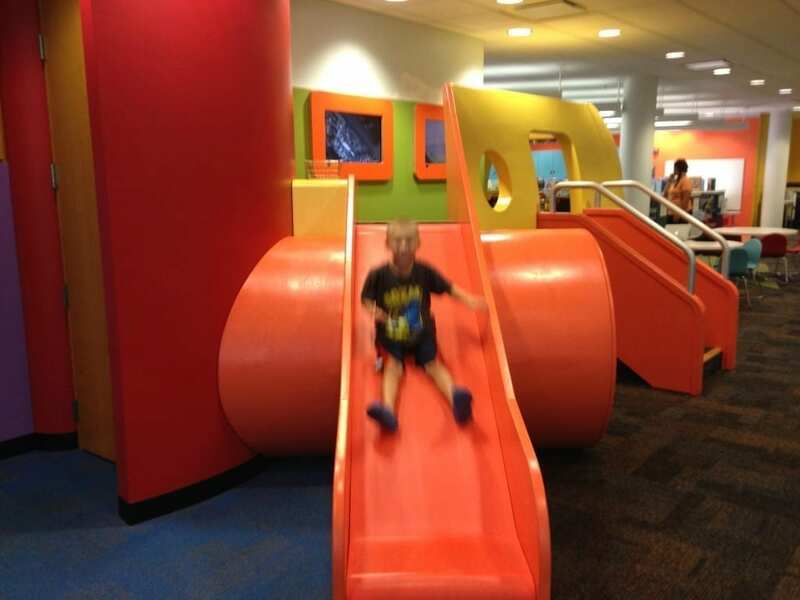 Kohl Children’s Museum is a Chicagoland favorite to bring your kids for a crazy, fun adventure. Located only a half-mile from the North Glenview Metra stop, it pairs well with a train ride. It can get very busy, so I like to go on the weekdays as soon as they open. 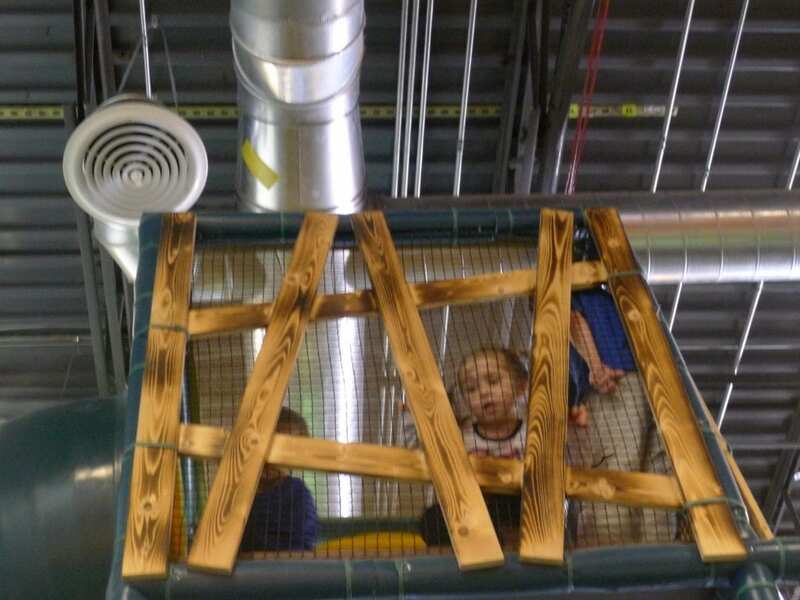 Tree House in Lake Zurich offers children a multi-level climbing structure with swinging bridges, enclosed slides, padded mats and ramps, swings, and a soft basketball court. The TreeHouse provides parents a place to relax with constant eyeshot of the climbing structure. It also offers a selection of lunch and snack items for sale. Brainstorm This educational store in Lindenhurst has a play area for the kids to use while you shop for your preschoolers. They also have story time on Wednesday and Thursday mornings from 10:30 a.m. – 11:00 a.m. and an evening story time the first Tuesday of every month from 6:30 p.m. – 7:00 p.m. You will also find classes for your little learner during school breaks and free family game nights the second Wednesday of every month from 6:00 p.m. – 7:30 p.m.
Gurnee Mills Mall play area is another free option. Get there early with the mall walkers, grab a Starbucks and you are set. Chick-fil-A. There are plenty of events for preschoolers at this restaurant, many of which include free food. I’m in. Check out the Vernon Hills or Kildeer locations for a complete listing of special events, including story times. 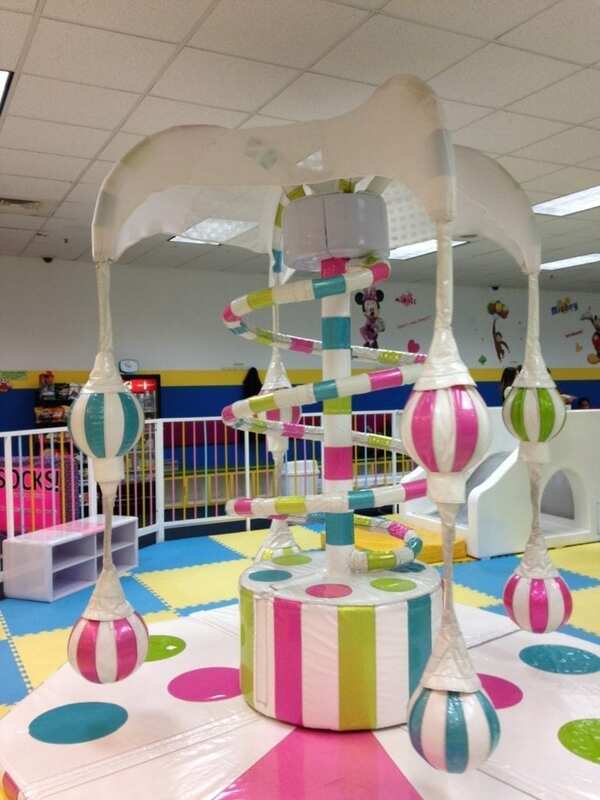 Yu’s Kids Island is an active indoor play space at Hawthorn Mall in Vernon Hills. Lake County offers a wide variety of big and small indoor nature museums for your mini- botanist. Most are free and have some fun programming for the littles. Gymnastics gyms. I took my two kids to gymnastics lessons, but since they are pretty young yet and I doubt there is Olympic greatness (but who knows, right), we just frequent the open gym hours. Menards. No. I am not just grasping for straws here. 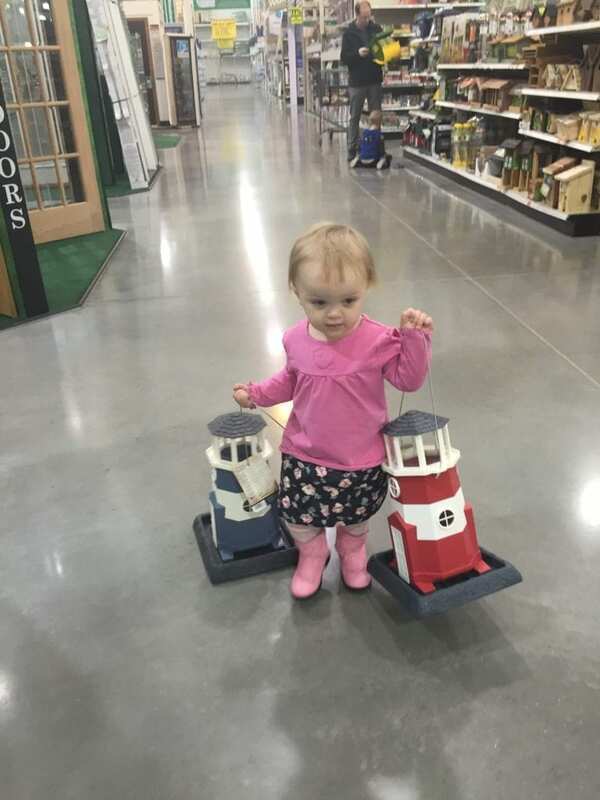 My kids could live at Menards. They love the wide-open aisles, the pretend kitchens, the bath fixture section, the Christmas tree displays in the winter and patio displays in the spring and summer. God help me–I love Menards, too. Worth the trip: Kenosha area museums. Hit the Kenosha Public Museum and the Dinosaur Discovery Museum for free. And then have lunch at Choo Choo Charlie’s.Did we miss any? 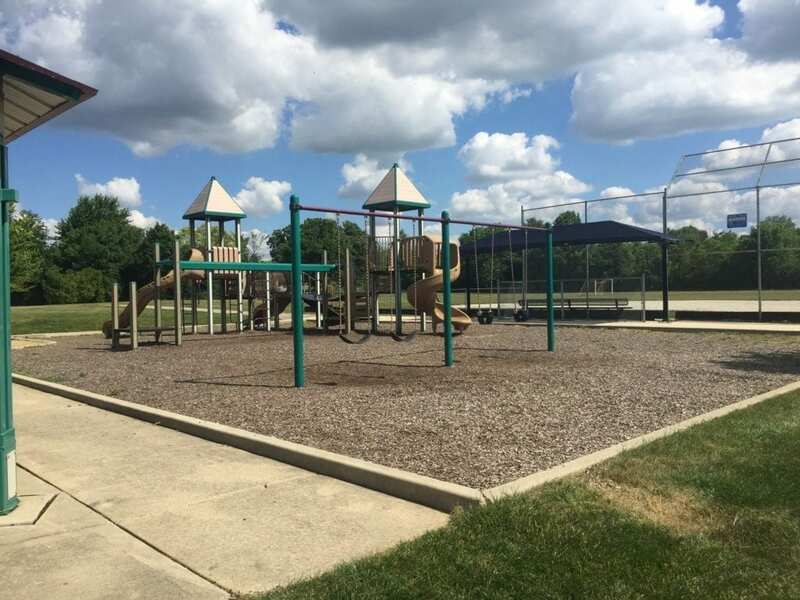 Where is your favorite place to take your preschooler in Lake County? 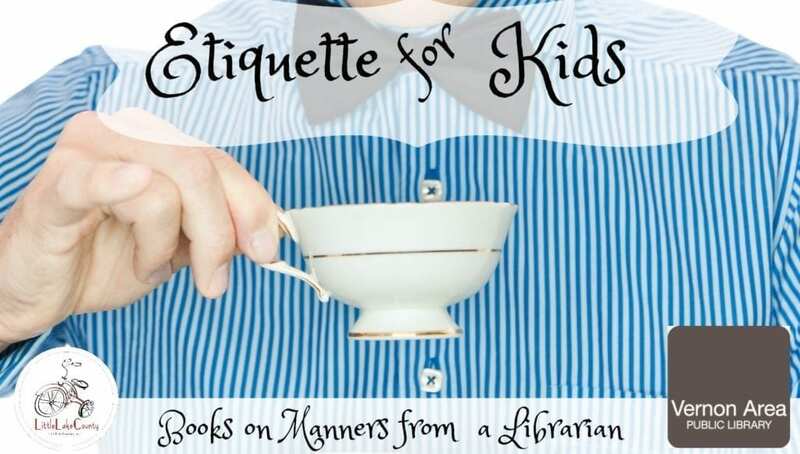 Little Library Bookshelf: Manners Matter! School’s Out! 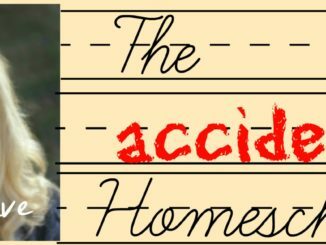 Educational Activities for Accidental Homeschoolers. We also like home depot, and their free kids workshops.